Performance reviews are certainly not useless, but when improperly executed, there is some truth to that statement. We believe that performance is an ongoing practice and while annual reviews aren’t inherently bad, when used as the sole bar for performance or the only feedback valve, they aren’t effective. Whether your company chooses to keep annual reviews and supplement them with more modern types of feedback and performance conversations or you decide annual reviews can be replaced with a total performance culture, there is one very specific kind of review that’s often left out of the conversation when evaluating employee success. At many companies, year-end leads to a hastened scramble to evaluate everyone at once in order to create merit raises. Tell a harried HR professional or manager they’ll need to add more performance reviews to their already packed schedule and they might just riot. But what if you could add feedback loops into performance and not have to manage additional time constraints? You can do that with peer reviews, or 360-degree reviews. In this way, you can fulfill the needs of employees (who are increasingly demanding more feedback and additional performance insights), ensure all employees at the company have a voice and don’t create a culture where performance reviews and feedback are dreaded due to overloaded managers. How do you institute peer reviews in your company? Find the right performance management technology to manage peer reviews. Even if you have a small team, managing performance conversations gets big, fast. Find technology that will allow management to view performance reviews and conversations from several vantage points, and perhaps has some controls to ensure criticism and reviews are constructive as well as instructive. Every company is different in their technology needs, but in general, look for ease of use (since all employees will need to be able to log in to give and receive feedback), transparency for executives, back-end data and analytics to give you insights into how talent is growing and recognize trends among workers. Draft a peer review policy. You will have to draft guidelines on how to give feedback, what is appropriate and helpful feedback and when are effective times to deliver it. Let employees know feedback is not a place to nurse grudges, get overly emotional or bully their coworkers. Similarly, you’ll also have to communicate to employees that both instructive and constructive criticisms will be necessary to create a truly effective feedback loop within the company. Don’t remove supervisors or managers from the equation entirely. 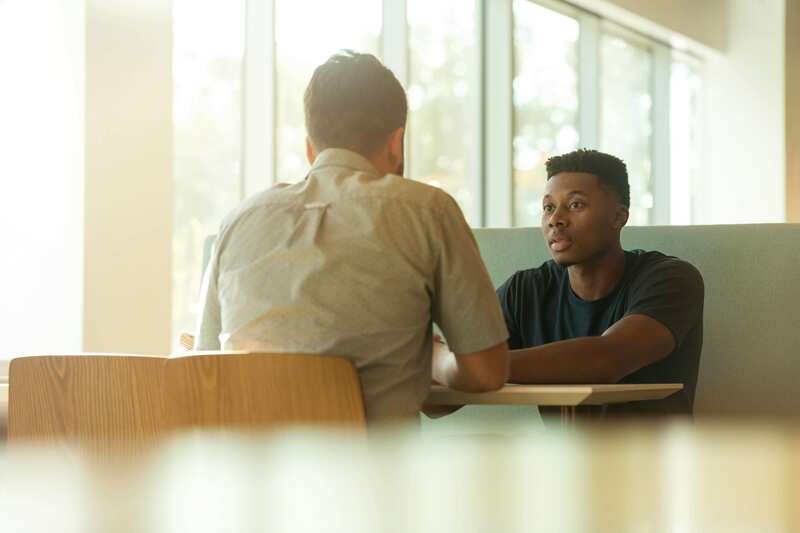 You still need your employees to understand how management sees their contributions and they will still need to hear from those supervising them in order to grow within their respective roles. However, receiving feedback from their peers shows them how effective they are in their role and how their behavior, both positive and negative, impacts their coworkers. Recognize the importance of peer reviews in retention. If you spend money recruiting, training, hiring, onboarding and managing your people, retention is bound to be incredibly important to you and your stakeholders. Resoundingly, today’s workforce demands feedback and the opportunities for growth and advancement. These two inherent needs depend on one another a great deal, which means building a culture of feedback and performance conversations is incredibly important. Establish a rubric, rating system or scale for peer reviews. While freeform feedback has its place, creating a rating system allows for more concrete feedback and shows patterns and trends when everyone is adhering to the same system. For example, without a rating system, you may not know that Tim from accounting is great from a skills perspective but according to his peers, can be difficult to work with and struggles with communication issues. What should peer reviews cover to be effective? A great 360 review will include the person above the reviewee, the people working shoulder to shoulder with them, and if applicable, the person or people they manage. Peer reviews should include sections that focus on both skills AND attitudes in the workplace. Peer reviews should focus on strengths and performance as part of the team. Peer reviews should have a section on how to improve performance to grow in the reviewee’s career. All peer reviews should be conducted within a culture of trust, respect and employee empowerment. What are some key pitfalls of peer reviews and performance conversations in general? Peer reviews can quickly turn into a “pile-on” if the employee isn’t given his or her chance to respond. Ensure you have them fill out a self-evaluation on the same attributes and duties their coworkers are judging them on. This isn’t about soul-crushing, it’s about the rising tide of a performance culture lifting all boats. Encourage everyone involved to “coach” the employee. Everyone wants to work with A Players. Don’t make it all positive either. Employees cannot grow with only negative feedback but all positive feedback with no place to grow can be just as dangerous. It’s helpful to hear where peers are saying you excel and where you need to improve. Not linking performance conversations, peer reviews included, to career opportunities is a HUGE miss for many companies. Why not show your employees where they might be a better fit, or what kind of position they could achieve by stopping one behavior or building out a positive skill? Not encouraging employees to create performance and individual development plans. Turn a difficult or challenging conversation into an employee empowerment opportunity. When you allow them to link the feedback they are receiving to a future opportunity and create a plan to get from one place to the next, you are creating ownership of their career development that is a massive intangible benefit. What are some intangible benefits of instituting peer reviews in your organization? Peer reviews will create a more comprehensive view of every employee. When employees receive multiple views into their work and what their work means to others in the organization, their daily activities are imbued with more importance, leading to higher levels of engagement. Not only that but supervisors are able to get a view into an employee’s projects they would not have otherwise had. Happier, more engaged employees. Often, leaders don’t catch performance or attitude issues until far too late. Not only does this often lead to a disengaged employee leaving, but it can also be worse when that employee stays in the company and starts infecting other workers with their dissatisfaction. Instituting peer reviews can stop issues far earlier than just annual performance alone. “51% of employees are unengaged, and 17% are actively disengaged in the United States.” — Inc.
Employees learn leadership skills and how to manage others by giving good feedback. Probably one of the biggest benefits of creating a performance culture that uses peer reviews is that your employees will learn how to give solid feedback, prepping them at least in part, for management roles in the future and creating a more cohesive, flat hierarchy. Peer reviews can positively impact recruiting and succession planning, creating a better, more holistic view of the company, what skills and attitudes it has and what skills and attitudes it needs to move into the future. This data is invaluable to executives and HR professionals looking to future-proof their company. This article was originally published on the ClearCompany Blog. As the head of the Marketing department, Sara makes sure that ClearCompany’s message, products, and best practices reach and assist as many HR practitioners as possible.